Sean M. Lane is a senior vice president and private bank team leader at U.S. Trust, Bank of America. In this role, he is responsible for growing and managing client relationships and identifying, formulating and delivering wealth management solutions to high-net-worth individuals, families, and non-profit clients. Prior to joining U.S. Trust, he held a number of senior positions at major financial institutions including head of U.S. Private Banking at Bank Hapoalim, director of Wealth Management at HSBC, and director of Philanthropic Business at Deutsche Private Bank. Sean holds an honors post-graduate diploma in business and a B.A. in French and English literature from the National University of Ireland, Galway, and is a board member of the University’s foundation. 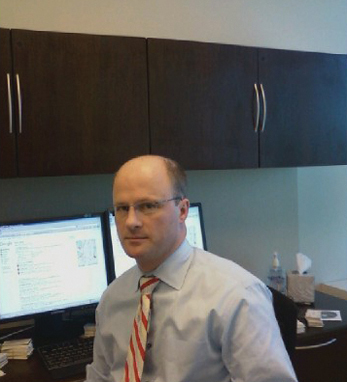 He holds both the Chartered Financial Analyst and Certified Financial Planner designations. A first-generation Irish American born in New York, Sean is a member of the Friendly Sons of St. Patrick, the AOH, and the American Ireland Fund. He also holds a blackbelt in Judo. His mother hailed from Co. Mayo; his father from Galway. Sean lives in Garden City with his wife, Cielo, and their two children, Sarah and Ryan.